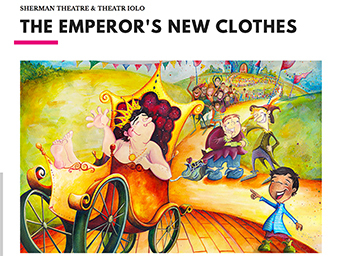 Sherman Theatre & Theatr Iolo present The Emperor’s New Clothes / Dillad Newydd yr Ymerawdwr – a reimagining of the classic Hans Christian Andersen tale. Written by award-winning playwright Alun Saunders, with songs and live music, there’s something here for the whole family this Christmas! Wyt ti erioed wedi colli rhywbeth? Tegan? Dant? Atgof? Beth petaet ti’n colli pob diferyn o wiriondeb? Mae’r hen Ymerawdwr yn mynnu dillad mwyaf cŵl y deyrnas er mwyn cynnal ei enw da fel yr arweiniwr ffasiwn mwyaf, wel, ‘cŵl’! Pan ddaw’r Gwehyddion cyfrwys i’r fei, mae eu cynllun twp yn bygwth ‘dinoethi’ un o gyfrinachau mwyaf trist y dyn mawr. Cyflwyna Sherman Theatr a Theatr Iolo Dillad Newydd yr Ymerawdwr / The Emperor’s New Clothes – dehongliad newydd sbon Alun Saunders o glasur Hans Christian Andersen. Gyda chaneuon a cherddoriaeth fyw, mae ‘na rywbeth yma i’r holl deulu y Nadolig hwn. ArtWorks are so proud to be able to support our very own Maxine Ridge with the launch of her second novel Crow Falls. We have no idea where she finds the time but we are so blessed to be able to call her one of ours! They found a doorway to another world. It has been two years since Robyn and her friends broke the barriers across time and space, but the memories have faded to stories, supernaturally forgotten. When Robyn falls for someone who doesn’t love her back, heartbroken, she finds solace in parallel world Corvus. Robyn’s friends need her back – their world is falling apart: the flu pandemic closes down the borders between countries and the terrifying Golden Army draws ever closer and although life in Corvus is sweet, there are whispers on the wind of an uprising of the Earth Born against the First Born. Crow watches from afar as the end of time hurtles towards them. Friday 30th September 2016 7pm. After the successful launch of Maxine Ridge’s debut novel When the Crow Cries, Maxine is bringing the sequel Crow Fall to The Factory. 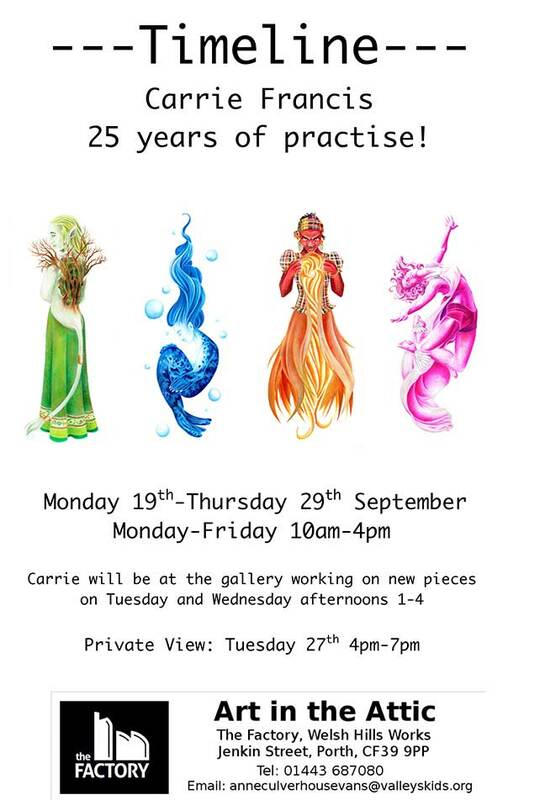 The event includes readings by internationally-famed Mab Jones and Wales’s new and exciting crime writer Victoria Jenkins; an exhibition of the book illustrations by Rhondda-based artist Gayle Rogers; free wine and light refreshments; and music by Tom Stupple’s fantastic folk band Fountainhead. Music albums, reduced-price books and limited edition prints available for purchase.